I’ve said it before and I’ll say it again: I love real estate investing. Besides the fact that I just love houses, investing in real estate has been one of the best financial decisions we’ve ever made. Real estate accounts for a sizeable portion of our net worth, and we consider it a major part of our financial plans for the future. Among other reasons, I think real estate can be one of the best investments around because it’s not just paper money; you have something to touch. Even under the worst of circumstances, your land and buildings should still be worth something. I take comfort in that, and I consider real estate a great addition to the investing I also do in the market. Real estate can help you make money in any number of ways. You can purchase the property below value, fix it up, and make money on a sale. You can make money by holding on to the property for several years, hoping that it appreciates in value. You can rent the property out and make money on rental payments. Or, you can do all of the above. Of course, purchasing your first rental property takes a considerable amount of cash. Plus, not everybody wants to be a landlord. There are repairs to be made, maintenance to handle, and tenants to deal with. Being a landlord isn’t for everybody. Still, that doesn’t mean you should ignore real estate and leave it out of your investment portfolio. No way! 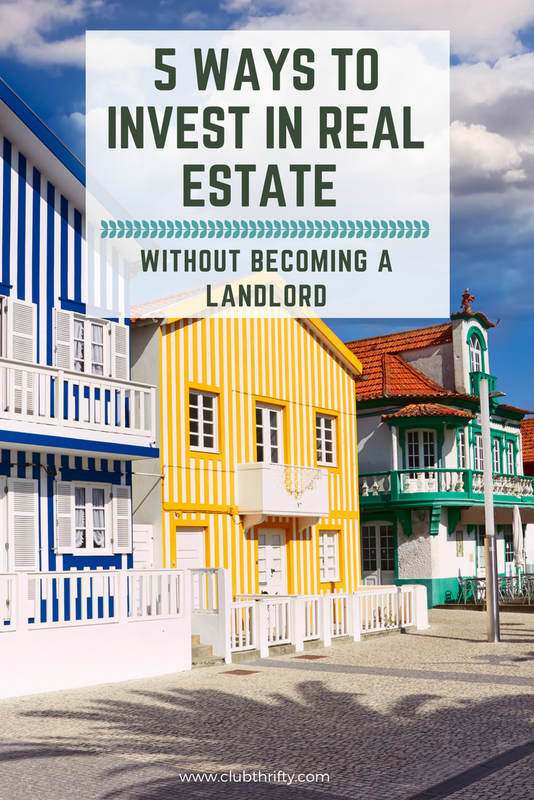 Here are 4 ways you can still invest in real estate without becoming a landlord. Fundrise is one of my favorite ways to get started in real estate. In fact, I love it enough that I’ve also invested some money here. Not only do you get to skip the hassles of being a landlord, Fundrise also makes it cheap and simple for anybody to start investing in real estate. More on that in a second. Essentially, Fundrise is kind of like crowd-sourced real estate investing. You pool your money with other investors to buy portions of individual properties that are spread across different asset classes. (Think single-family units, multi-family units, etc.) This helps you quickly diversify your holdings, and everybody shares in the returns. Here’s the best part: You can start investing through Fundrise with just $500. Yep, you read that right – all it takes is 500 bucks! Sound good? To learn more, check out our complete Fundrise review or get started here. PeerStreet uses a similar concept to Fundrise. However, unlike Fundrise, PeerStreet invests exclusively in real estate backed loans rather than the properties themselves. If you’ve ever wanted to invest in real estate debt, PeerStreet gives you the chance to do it. The minimum required investment is $1,000 per loan. PeerStreet requires you to be an accredited investor to sign up. Again, this limits the ability of most regular people to invest here. However, if you’ve got the credentials and want to invest in real estate backed loans, this is definitely a good option. Learn more about PeerStreet here. Real Estate Investment Trusts (REITs) are companies that invest in income producing real estate. There are a number of different types of REITs. Some invest in commercial and/or residential properties (Equity REITs). Others invest in mortgage backed loans (Mortgage REITs). These companies function similarly to Fundrise. However, with a REIT, you don’t actually own specific buildings. You own part of the REIT and its portfolio. It’s a small distinction, but an important one. REITs are often traded publicly like stocks, and you can find them on any number of secondary stock exchanges. 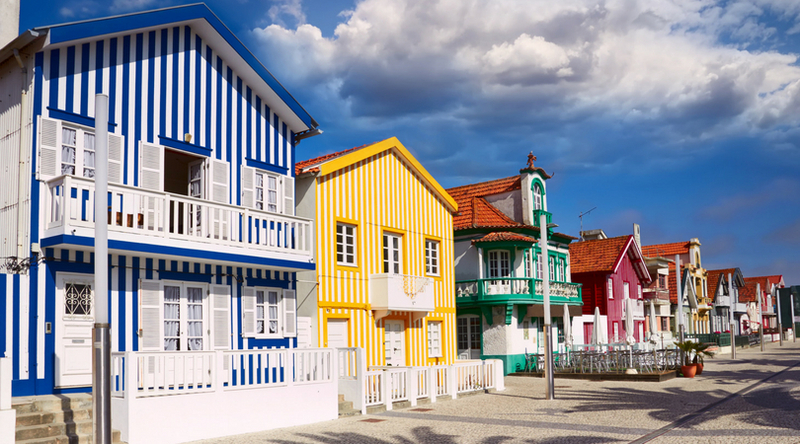 You can diversify even more by investing in a REIT ETF (Exchange Traded Fund), which is typically a low-cost way to invest in multiple REITs at once. Check out a brokerage house like Ally Invest to learn more. If you like the idea of owning physical real estate but don’t want to manage it, you can always hire a property manager to run your rentals for you. Property managers typically take a percentage of your total rent collections (often around 7%). For that fee, they find and screen tenants, collect rent, take care of repairs and maintenance, and handle tenant complaints. When needed, they can also help you through the eviction process. Unlike some of the other options listed here, purchasing property and using a property manager will require a significant investment of money. You’ll need at least enough cash to make a down payment on the property and to make any initial repairs. Then, you’ll have the recurring expense of the property management service. With that said, hiring a property manager can significantly reduce the hassles and stress of managing your own rentals. It’s also a great way for those who may not live near a property to take care of their investment. I love real estate investing and plan to continue investing in real estate for decades to come. I currently have 2 properties, and I plan to use the income from those properties to help supplement college costs for my kids and my retirement. Still, I realize that managing your own properties isn’t for everybody. It can also be expensive to get started. So, if you’ve ever wanted to invest in real estate but something was holding you back, try one of the options we’ve listed above. Good luck and happy investing! NextParis Explorer Pass Review 2019: Is It the Right Pass for You? I originally had a property manager on one of my properties because I thought it would be easier. As I was super involved with my rental, I ended up taking the rental back and managing it myself. It was a lot of work but there was definite savings. The hardest part was making the process non-emotional and more of a business transaction. Great list! It can definitely be a lot of work. Thankfully, our leases are annual…so we only have to deal with most of the major issues once a year. Love these ideas. My husband and I were toying with the idea of being landlords but realized we just aren’t ready for that commitment. This article will come in handy when we are ready to start investing in real estate! I thank you for posting this article. I love those ideas you’ve shared. It’s a very good choice to become a real estate investor. Those you posted are very helpful and understanding.